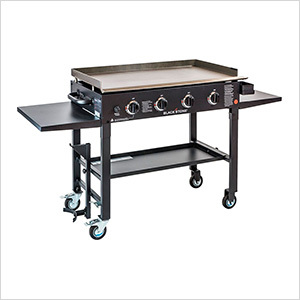 Breakfast, lunch, or dinner, the Blackstone 36" Griddle is a perfect fit for fast and consistent griddle results. The solid steel griddle is designed for consistent and even temperature across the griddle surface. Perfect for large groups or a more intimate setting. With (4) independently controlled burners, the Blackstone 36" Griddle is a breakfast lover’s dream.